Zgleda mi je jesen zlezla pod kožo. Že druga voščilnica zapored v oranžnih barvah. It looks like, the fall got under my skin. The second card in a row in orange. Chocolate, Coffee & Cards Challenges: #50 ~ AUTUMN - NOT Halloween! Loving the rich orange and black together! It makes a real striking card and the Tree and bike are perfect. 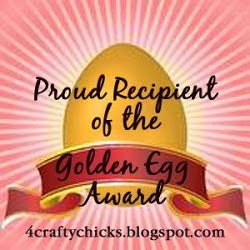 Thanks for sharing your inspiration with us at 4 Crafty Chicks.